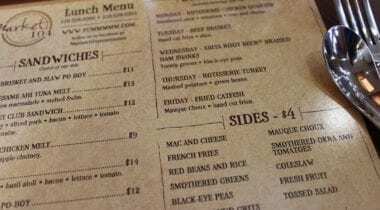 MAKE MENUS POP & CUSTOMERS CRAVE! 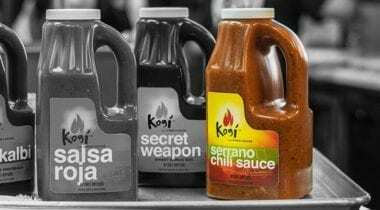 From initial sizzle to final plating whether it’s the first ingredient, or the finishing touch on your signature dish, make it a sauce that’s the perfect amount of sweet, smoky or spicy. 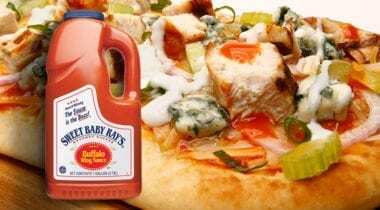 We’ve got you covered with a full line of sauces and dressings that offer the versatility operators love and the flavors that keep customers coming back for more. 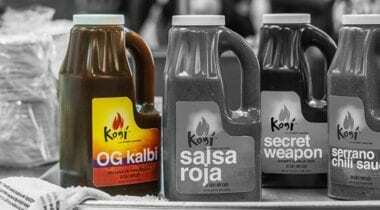 Ask your Account Executive about more sauce and dressing options, along with profitable ways to use them on your menu. 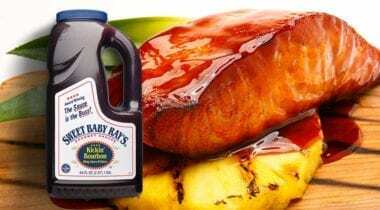 Sweet Baby Ray’s Original’s mouthwatering blend has captured the minds and taste buds of fans around the world. 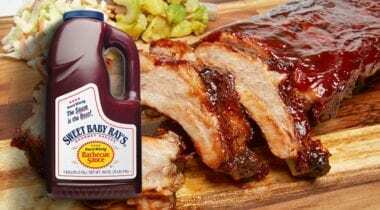 While we love every member of the SBR family of sauces equally, Original BBQ will always have a special place in our hearts! 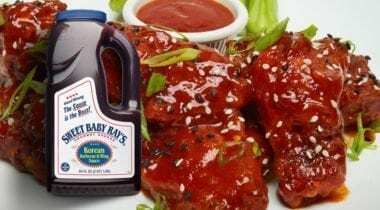 Sweet Baby Ray’s Korean BBQ sauce is the perfect balance of barbecue and international zing! 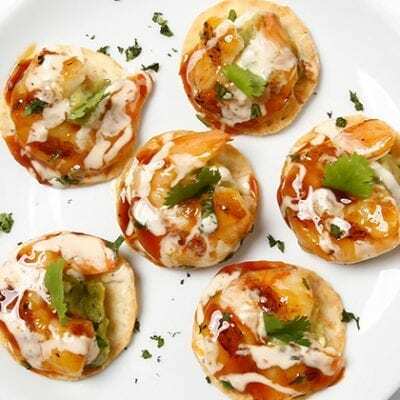 Korean inspired flavors will bring out the rich Asian-infused appeal in your dishes. 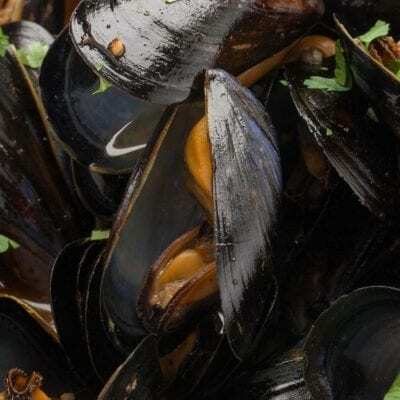 Medium body, dark brown color with a glassy texture and sesame seeds. Featuring a sweet flavor with soy and a hint of ginger. 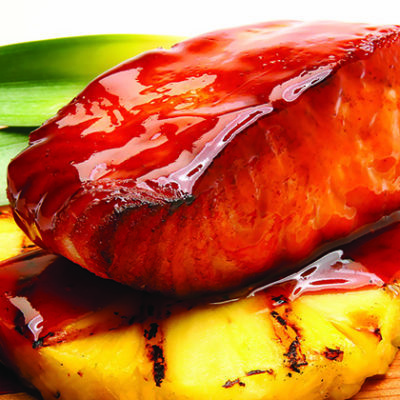 Ideal for any dish where you desire a bold and memorable Teriyaki flavor. 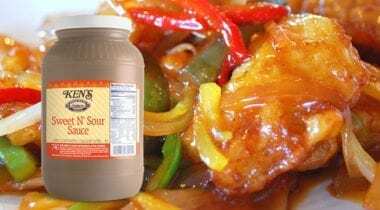 This sauce starts off sweet, but spicy red chili peppers provide enough heat to fire up an order of wings or liven up whatever dish needs a kick in the pants. 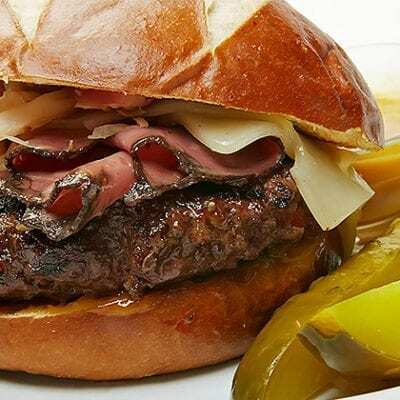 Citrus zest and smoky chipotle peppers combine for a complex and tangy taste delivered with SBR’s signature thickness. Do your tongue a favor and slather this spicy sauce onto your next signature dish. 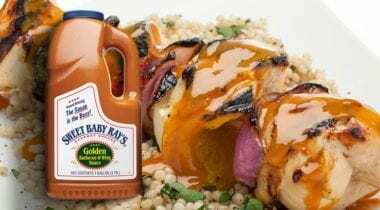 Sweet Baby Ray’s has combined the tastiest aspects of barbecue sauce and mustard to create this zesty new flavor that has a real southern drawl. Part sweet, part smoky, all good. A taste comprised of sweet bourbon with a kick of red pepper spice; aroma is subtly sweet with notes; of bourbon. Body is of medium viscosity with transparent deep red color, and sparse red pepper particulates throughout. 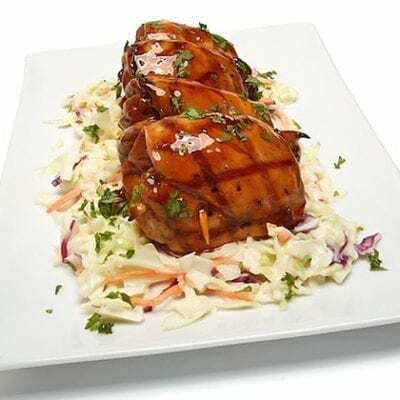 A flavorful medium bodied glaze featuring a blend of mango, chipotle and spicy habanero delivering a sweet heat that’s perfect as a dressing or a dipping sauce. 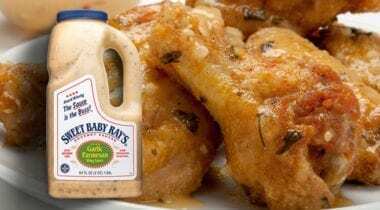 This rich, buttery sauce delivers the savory aroma of garlic with the creaminess of Parmesan cheese to create a deliciously eccentric wing sauce. 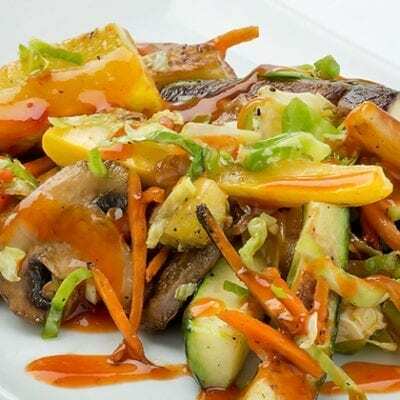 This fiery red colored glaze with red pepper flakes offers sweet-heat with notes of sriracha and garlic. 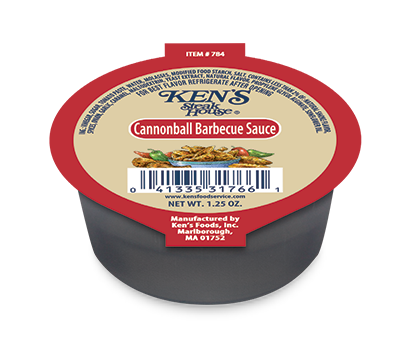 Perfect as a glaze, wing sauce or right out of the bottle as a dipping sauce! 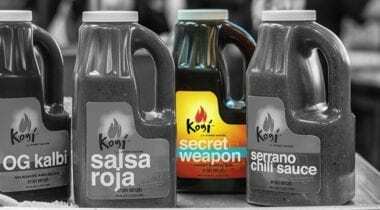 Boom Boom Sauce is a bold blend of aged cayenne pepper, chili de arbol and Asian red chilies in a rich and creamy base with notes of rice vinegar, garlic and shallots. 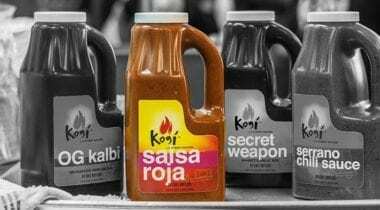 This sauce is slightly sweet with a blooming heat that is craveable and possibly addictive. Loose bodied with a golden yellow hue and visible particulates. 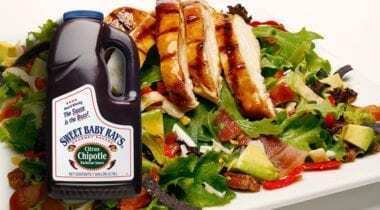 Well balanced between sweet and sour to deliver a unique flavorful dressing. Flavor has a sweet fruity apricot nuance blended in a tangy soy, spice background combined to deliver a pleasant oriental accent. 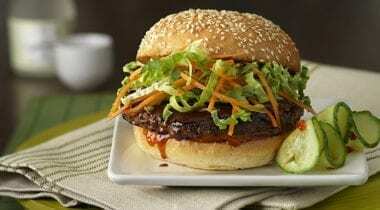 A full bodied western style, tomato-based BBQ sauce with a rich red-brown colored. Flavor is spicy sweet tomato with pleasant peppery overtones. 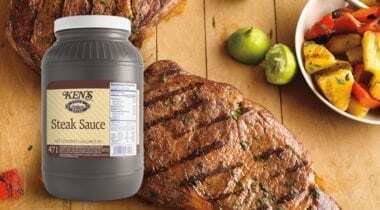 This is a highly textured steak sauce. 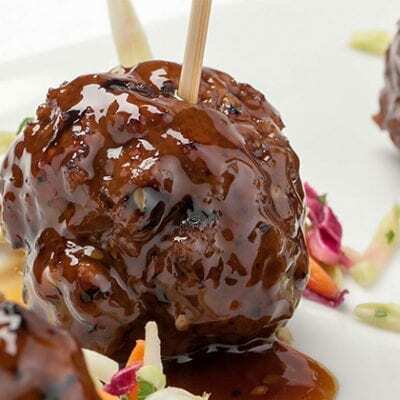 Flavor is moderately sweet and tangy with tomato and spice nuances and an overall appearance and aroma typical of steak sauce. 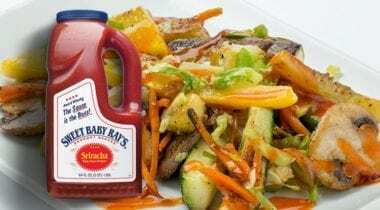 This sauce is a true winner! Featuring a full bodied, deep rich brownish-red color, with a pleasing spice profile. 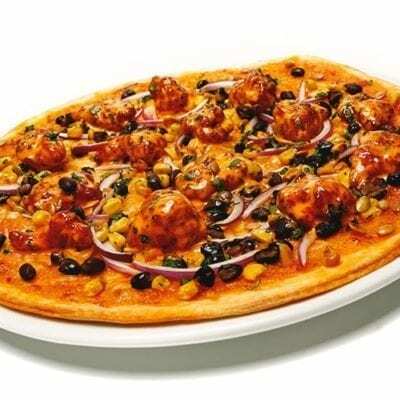 Flavor is tangy sweet tomato, making it extremely versatile. 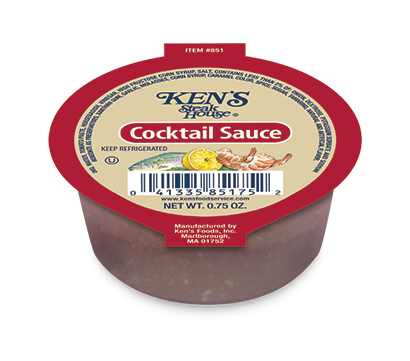 Perfect as a glaze or an unforgettable dipping sauce. This is a full bodied highly textured product, deep red in color. 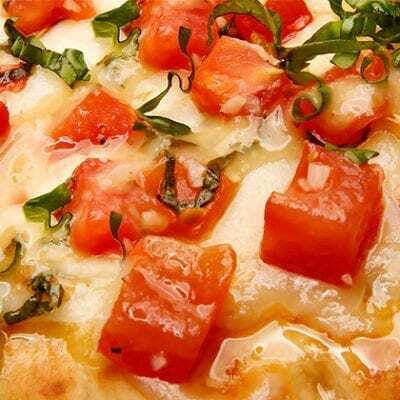 Flavor is a combination of sweet fruity tomato, horseradish and spices in a tangy salty background. 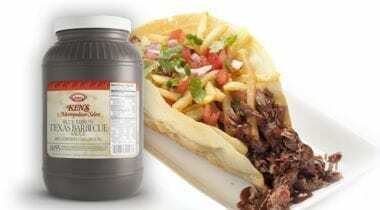 A medium bodied barbecue sauce, brownish red in color. Moderately sweet tomato notes are combined with a natural smoke flavor and a unique and flavorful blend of spices. Features a vinegar and molasses base. People’s palates are changing. 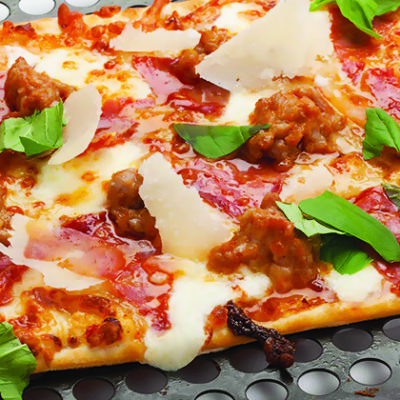 They want…no, crave original, uncommon, adventurous flavors. That’s Kogi. Fearless, original, straight from the heart. Made with rice wine and sesame, apple and pear, it’s Kalbi to the core. 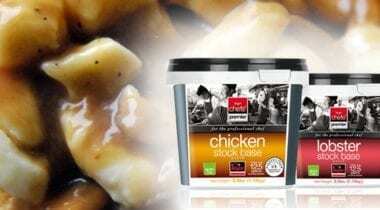 Great for marinating chicken, pork, beef. 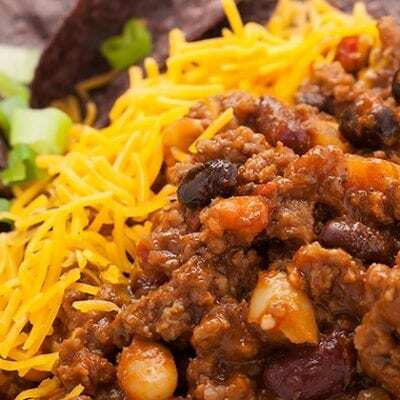 Adds flavor to ground beef and meatballs too. 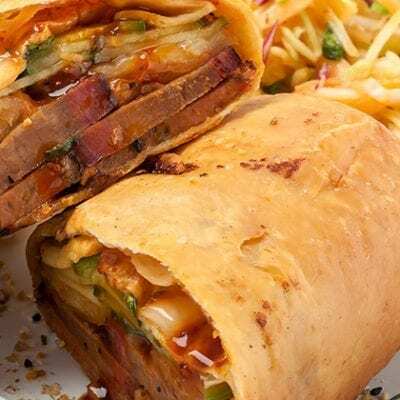 You can’t spell Kogi without OG! Roy’s first born, his numero uno. The magic ingredients: gochujang chili pepper paste (yep, the real deal), crushed sesame seeds and soy. 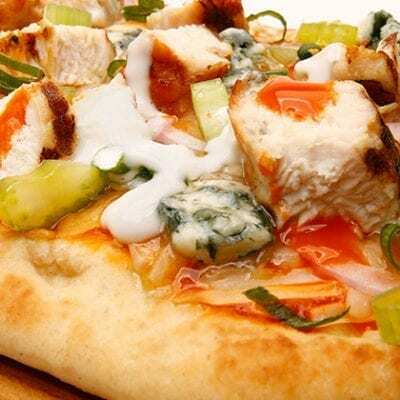 It’s versatile, unique and flavor-packed. Our chefs use it to make a one-of-a-kind cheese sauce for mac and cheese or nachos. Simple, yet elegant. 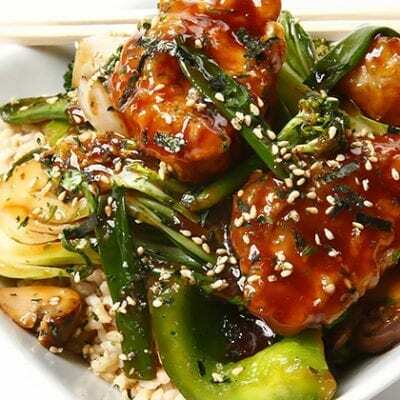 The perfect blend of sweet with garlic and soy sauce. 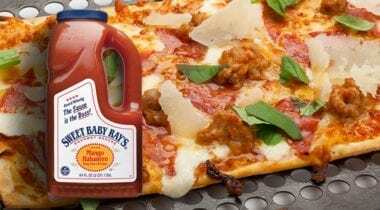 There’s nothing this sauce can’t do. From finishing vegetables to cooking calamari, it’s super versatile. And a huge time saver for chefs vs. making it yourself. 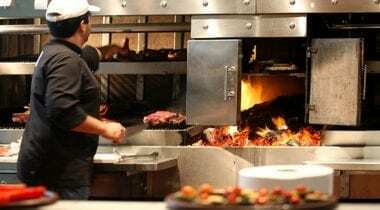 This baby’s getting the most attention from chefs. A killer combination of roasted serrano peppers, crushed sesame and soy. Great on fish. Also plays nice with other sauces. Serrano Chili Aioli anyone? No one else has anything like it. 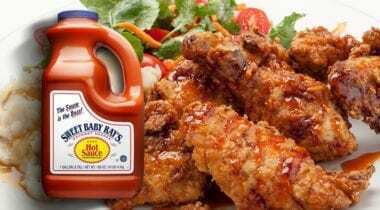 In a mixing bowl add 2 cups SBR Barbecue Sauce, 1 tbsp Tabasco and 1/2 tbsp Cajun Seasoning. Mix the ingredients well. Makes 2 cups. 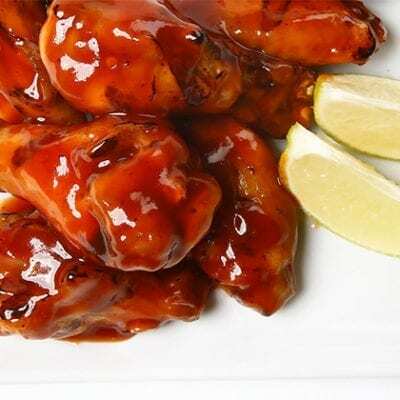 Grilled wings smothered with a flavorful combination of Mango Habanero and original BBQ sauces. 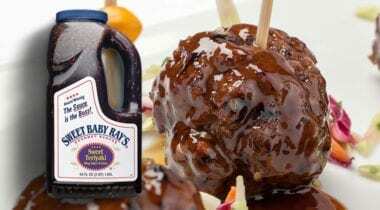 In a mixing bowl combine 2 cups SBR Barbecue Sauce and 1/3 cup Nescafe Cold Brew Coffee. Blend together well. Makes 2 1/3 Cups. 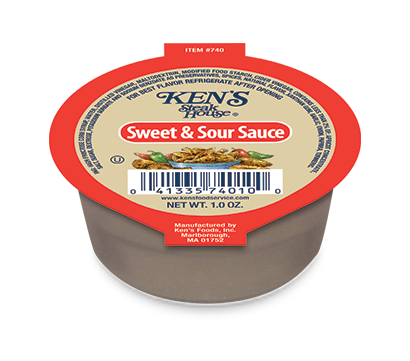 Dennis Paper & Food Service offers pre-portioned convenience with several flavors of popular sauces! Prefect for c-stores, salad bars and orders on their way out the door! 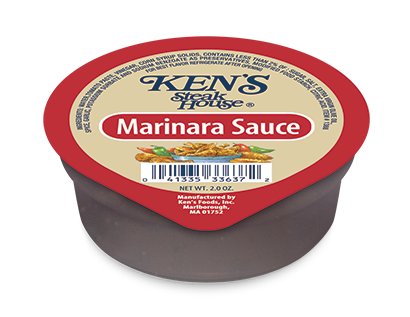 Ask your Account Executive about more portion-controlled sauce and dressing options. 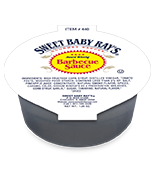 Sweet Baby Ray’s Original’s mouthwatering blend has captured the minds and taste buds of fans around the world. 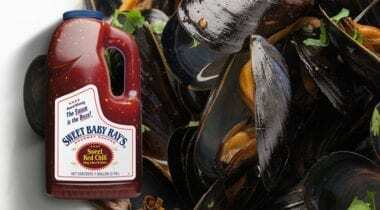 A delicious “old world” sauce with a deep traditional flavor. 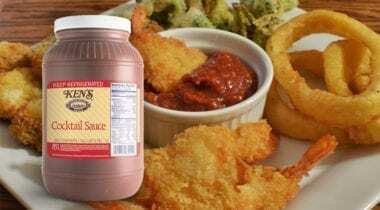 The perfect sauce for dipping mozzarella sticks or chicken tenders on the go. Perfect for salad bars. 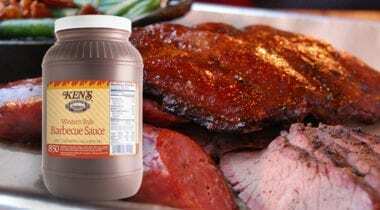 A medium bodied barbecue sauce, brownish red in color. Moderately sweet tomato notes are combined with a natural smoke flavor and a unique and flavorful blend of spices. Flavor has a sweet fruity apricot nuance blended in a tangy soy, spice background combined to deliver a pleasant oriental accent. 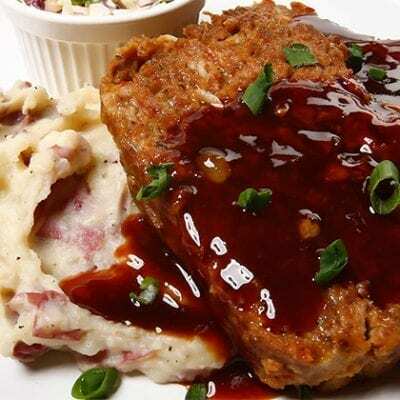 In a mixing bowl add 2 cups SBR Barbecue Sauce, ½ cup Brown Sugar and 1 cup of Crushed Pineapple. Mix the ingredients well. Makes 3 ½ cups. 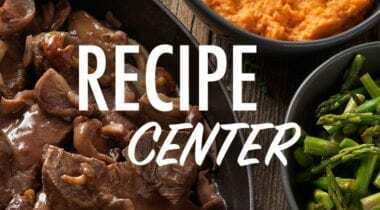 Browse our growing database of recipes, unique dishes and menu concepts. Take advantage of profitable products, seasonal trends and national holidays while discovering new dishes ready for your signature touch. 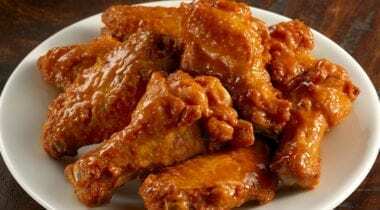 Chicken wings are a popular and profitable menu item, and great wings will keep customers coming back! 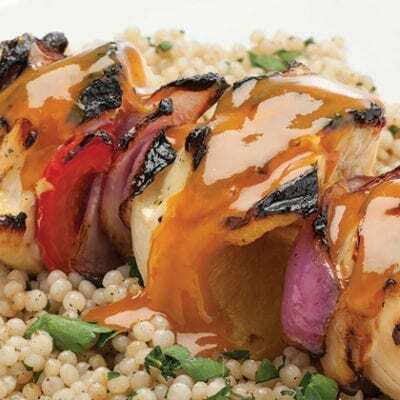 We also have all the sauces, dressings, wingcessories and fan-favorite appetizers to help make your game day menu amazing! 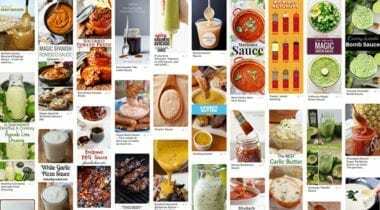 Find inspiration for your menu on our Pinterest board “Let’s Talk Sauce!” A growing collection of recipes and ideas ready for your unique twist. 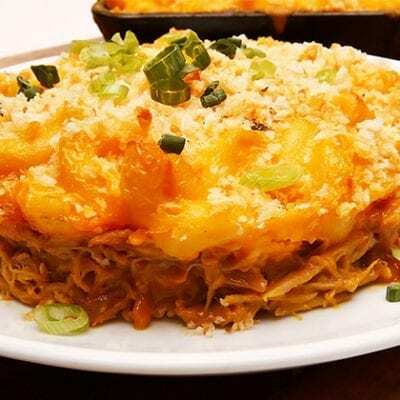 Find everything from new ways to kick-up your ketchup to homemade Yakisoba sauce. Be warned, browsing this collection will immediately make you want to create your next signature dish! 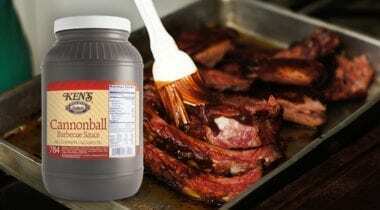 In a mixing bowl add 2 cups SBR Barbecue Sauce and ½ cup whiskey. Mix together well. Makes 2 ½ cups.